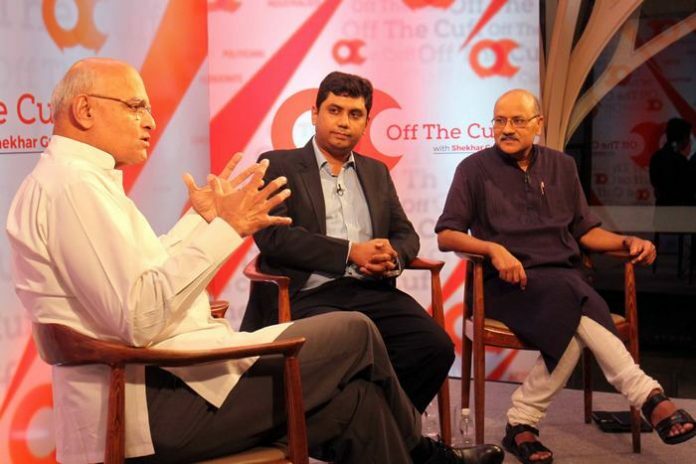 Former NSA Shivshankar Menon, ThePrint editor Pranab Samanta, ThePrint editor-in-chief Shekhar Gupta. Doklam is not as big a crisis as the media has made it out to be, said former National Security Adviser Shivshankar Menon Thursday. In fact, the 1986 standoff with China in the same area was far more serious and it lasted for almost a decade, he said. Given the India-China relationship’s nuance, Menon said that he opposes the idea of boycotting the Chinese goods, as he believes they have benefited Indian consumers. Likewise, he pointed out that 13,000 Indian students benefit from studying at Chinese universities, mostly pursuing degrees in medicine. Menon — who was foreign secretary from 2006 to 2009 and has also served as India’s envoy to China, Pakistan, Israel and Sri Lanka — was speaking at ‘Off The Cuff’ in Mumbai, hosted by ThePrint’s Editor-in-Chief Shekhar Gupta and Editor Pranab Dhal Samanta. Menon cautioned against viewing India-China relations through an international lens, as the two countries’ ties are quite complex. He added that China’s interests have changed substantially in recent years—earlier China focused solely on Tibet and Taiwan, whereas now it has entanglements across the globe. In the context of South Asian regional affairs, Menon said China is using Pakistan to achieve its goals, adding that Pakistan has been a net loser from its regional relationships over the last three decades. On the subject of the present government’s covert actions in neighbouring countries, the former national security advisor was critical. He noted that the previous UPA government preferred to keep its cards close to its vest on national security matters, while the present government, in his opinion, publicizes its actions too much. He cited the period after 26/11 as one in which the UPA might have conducted military operations without them leaking to the press. In a far-ranging interview, the former national security advisor expressed concern over the state of the global economy, saying that it was a far more pressing issue than the Doklam fracas. Menon added that India’s internal challenges are far more complex than its external threats, citing left-wing extremism as a particularly important challenge. Praising the current prime minister’s international outreach, Menon credited the new government with increases in foreign direct investment and foreign institutional investment. He further added that though all governments like to claim new beginnings on foreign policy, each has demonstrated substantial continuity.